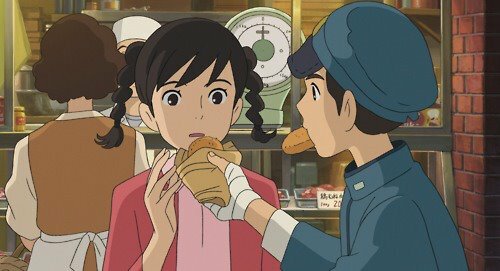 I’ve said it before (in April 2012) and I’ll say it again – the new Studio Ghibli film From Up On Poppy Hill (Kokuriko-zaka Kara / コクリコ坂から) is absolutely wonderful! 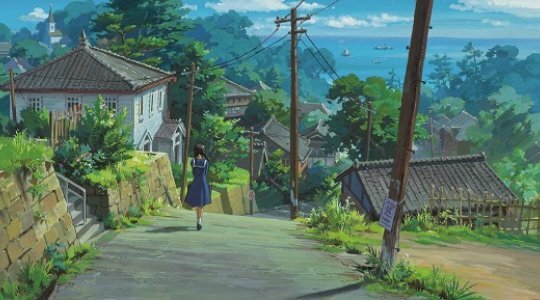 I’ve walked home singing “Ue o Muite Aruko” (上を向いて歩こう) to myself feeling relaxed and warm and fuzzy inside, after watching From Up On Poppy Hill for the second time at the cinema. I was lucky enough to see the film last year, but now it’s having its official UK release and has been showing at the Watershed in Bristol for the last two weeks. It’s not often I’ll pay to watch a movie twice, but this was absolutely worth it! 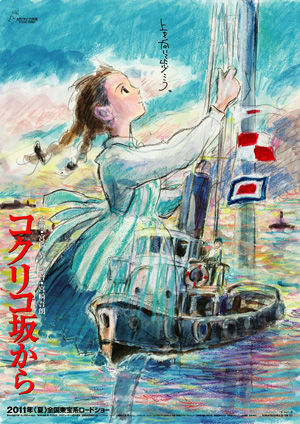 From Up On Poppy Hill is set in Yokohama in 1963 (in the lead up to the 1964 Tokyo Olympics) and tells the story of two high school kids, Umi Matsuzaki and Shun Kazama. The kids get involved in a project to save the school clubhouse from demolition and a sweet romance begins to develop. However, a family photograph raises some troubling questions for the pair, and they fear they will have to put their feelings to one side. As one would expect from a Studio Ghibli movie, the scenery is utterly stunning. As soon as the film began I sunk back into my chair and felt like I was home. Although the film is set in the 1960s, so much of it is like parts of Japan today, and the detail is impeccable. it wasn’t just the detail of the scenery and household objects, but also all of the characters’ gesture and words. With a basic understanding of Japanese I found it interesting to see how parts of the film had been subtitled. In places there was definitely some use of creative subtitling rather than direct translation, which should make the film more accessible for those who don’t understand any Japanese at all. I was pleased to find I didn’t need to read the subtitles that much, and it reminded me that I must watch more Japanese movies as it is excellent practice! I know it’s a little unusual to review a film twice, but it has been a year since my last post. Who know, perhaps I’ll even review it again when it comes out on DVD! The DVD is due out in the UK on 23rd September, so only just over a month to wait! 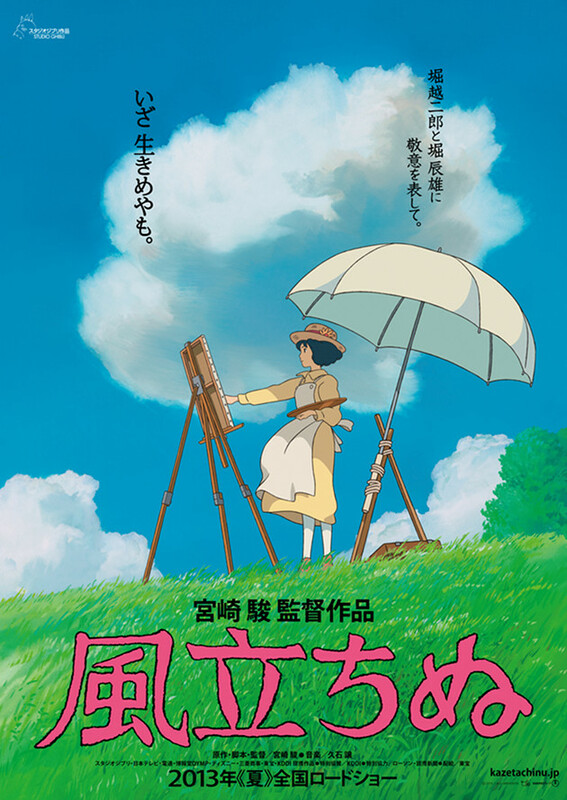 In other Ghibli news, the next Ghibli film to be released is called The Wind Rises (Kaze Tachinu / 風立ちぬ). It’s just been released in Japan (to mixed reviews) with no UK release date as yet. It looks like a bit of a tear-jerker – watch the 4 minute trailer here.